CORNELIA, Ga. — A woman in Cornelia is accused of murdering her 3-month-old daughter after allegedly beating her to death, according to police. 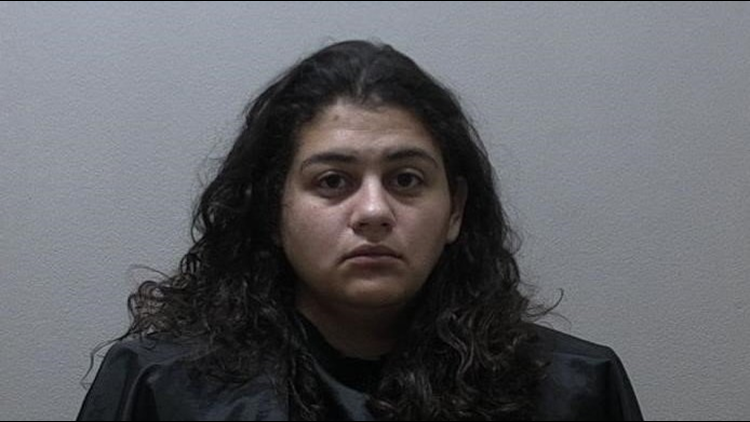 Cornelia Fire and Habersham County EMS responded to calls about an unresponsive infant at the AppleTree Inn on April 2, where Santiago and the infant lived, according to police. Once on scene, the crews transported the child to the Northeast Georgia Medical Center and the decision was made to have her life-flighted to Scottish Rite-Children’s Healthcare of Atlanta. Elba Maureen Santiago, 25, is accused of beating her 3-month-old daughter in a hotel in Cornelia to the point where she did not survive. She is facing murder charges in the girl's death. Cornelia Chief of Police Chad Smith said that he wasn't aware of any mental health issues or past encounters Santiago may have had with police. "I am unfamiliar with any history or post-depression," Smith said. "There is one other child who is 18 months old that is in DFACS custody. I'm not releasing details due to the investigation." The motel owner told 11Alive's Joe Henke that Santiago had been staying at the hotel for about a month and her room bill was being paid for by a local non-profit that helps out low income families. A man had been staying at the room with Santiago, who the motel owner believes is the child's father. Cornelia Police said the investigation is ongoing. “This case has shocked the conscience of everyone involved, so please keep the family and all public safety personnel involved in your prayers,” Cornelia Police said in a statement.